Loving those storage tins, I'm going a little mad for kitchen storage lately. I went to Cadbury World on Sunday and came back with a set of retro tins for the kitchen and a cloth badge for my camp blanket instead of chocolate. Wilko's is so cheap too. I've bought some blue glass jars for the bathroom to store cotton pads in from Poundstretchers. Ah can't wait to see how you stamp your touch on it Gem! Boys are odd, I've bought loads of kitchen utensils too and I like things to match so had to get new plates. Thanks Sarah! I can't wait to see how you incorporate these items! Room tours will be a must!! I can't wait till you move, I am SO excited for you! I love the toaster and the bedding. I wish now I'd looked at bedding last time I went to Asda!! 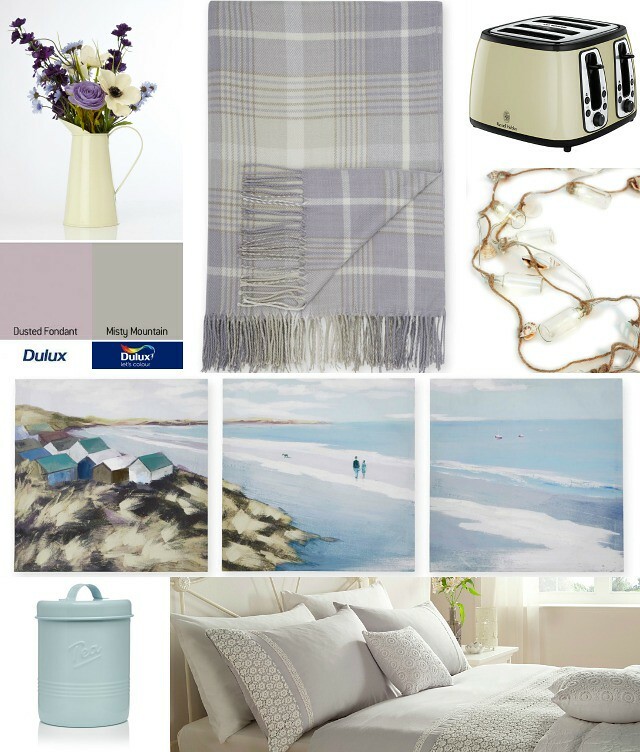 That blanket is lovely, definitely need to look at getting something like that to match my own colour scheme! I hate when men don't think to put a bin in the bathroom!